Caesarstone’s quartz surfaces are versatile and functional with endless design capabilities. The surfaces are popular for kitchens, wall surrounds and dining rooms. Due to its non-porous nature, Caesarstone is perfect for wet areas, like bathrooms and wet bars. 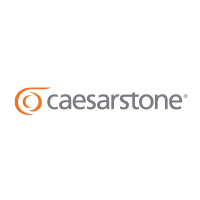 Caesarstone is easy to maintain and comes with a lifetime warranty.